Backpacks are a convenient way to transport documents and files from one place to another. From school to business, this mode of transportation is becoming increasingly popular, so why not use a file that makes it easy to access documents, while still protecting them. Made from heavyweight poly with gray reinforced, stitched edging, this 7-Pocket Vertical Backpack File opens along the short side and easily fits into a backpack. 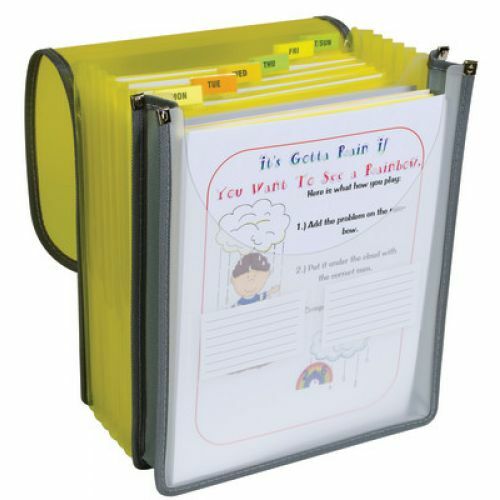 Organize 8-1/2” x 11” size documents inside the file by using the seven pockets and six dividers to sort the information. 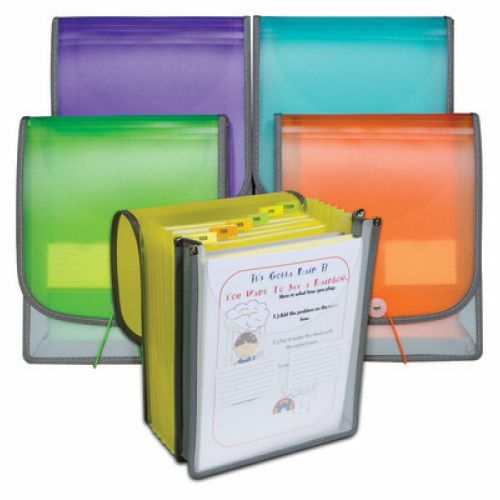 Pre-printed tab inserts included are to help identify where information is stored. This vertical expanding file has an additional pocket located at the front, which features an expanding gusset to provide additional storage for miscellaneous documents. 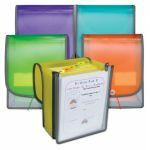 Secured with a button and elastic closure, paperwork remains protected and organized inside the Backpack File. Assorted colors include green, orange, turquoise, purple and yellow.